Why would you not want to explore the many Thailand Attractions on offer around this strikingly beautiful and farang friendly country? Well, the answer to that is simple enough, I'm sure. Thailand has such a huge variety of fascinating architectural wonders and special places of interest that you'll be able to discover on your travels like no other. You may want to begin your journey from Bangkok before heading off to marvel the ancient ruins around Ayutthaya on the central plains. Thereafter, you could travel to the mountainous regions in the north where you can explore some of the most amazing attractions around the city of Chiang Mai and its surrounding areas. You might also like to visit the resort town of Pattaya and explore all the fabulous places of interest around the east coast. You could also head further south to the island of Phuket on the southern coast for all the fun and attractions that are on offer there. This is just the beginning as you'll soon discover other fascinating regions as your journey continues. Having said this, could you think of any reason why you wouldn't want to spend your next Spring Break in Thailand. I cannot and it just might be the best thing you do this year. And especially since Thailand is known to be one of the top travel destinations in the world. Most visitors agree that Bangkok City is one of the most fascinating cities in South East Asia. It's unquestionably a preferred destination in Thailand if not the world. As a newcomer to the city, you may indeed be mesmerised if not bedazzled by all you see and hear, but the images will hang on long after the hangover has all but vanished. Behind the modern facade of gleaming office complexes, lies a wealth of stunning temples, glittering palaces, shopping arcades, bustling markets, fabulous cuisine, vibrant nightlife, fascinating river life and entertainment galore. There's sure to be spectacular surprises around just about every corner and every turn you make. 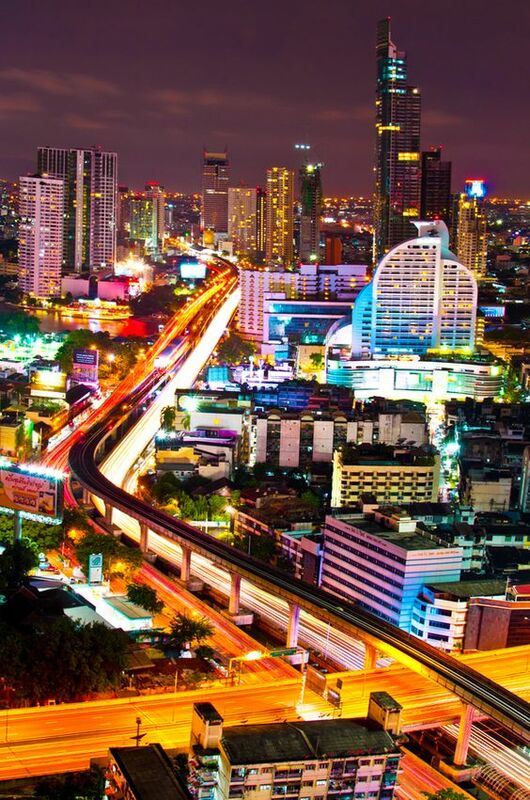 Expect the unexpected and discover why Bangkok is known as the city of angels. In and around Bangkok there are several impressive traditional Thai temples such as Wat Phra Kaew and the Temple of the Emerald Buddha located on the grounds of the Grand Palace to explore. Wat Pho is the city's oldest and largest Buddhist temple complex adjacent to the Grand Palace, where you can view the 46 metres long reclining Buddha. Wat Arun is another impressive temple site situated on the west bank of the Chao Phraya River which is indeed well worth a visit. If you ever happen to be in Bangkok over the weekend, then the Chatuchak Weekend Market is an absolute must for shopping. It's a huge open-air market where you'll find more bargains than anywhere else in Thailand. Tour the National Museum and marvel at the traditional and contemporary Asian art and artifacts exhibited there. 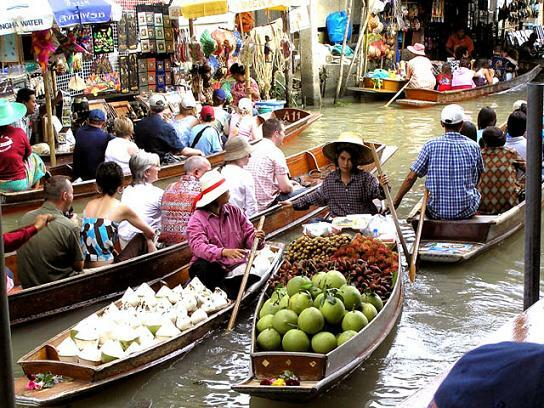 Also take a drive to the various floating markets in and around the city and wander around the extraordinary flower markets in town. And don't forget to take a leisurely stroll through Chinatown for traditional herbal cures before visiting the Jim Thompson House Museum to view the immense collection of rare Asian artifacts that this famous foreigner accumulated. Jim, if you don't know, was the one responsible for kick-starting the silk trade after World War II. As you can see it's a case of too much to see and do and not enough time to see and do. I've listed just a few attractions in Bangkok for you to explore, but there are many, many more you can view by clicking on the link here. The northern province of Chiang Mai offers several unique attractions such as that of Wat Phrathat Doi Suthep which is located on Mount Doi Suthep some 3,000 feet above sea level. You'll find this place only a short distance away from the city. This temple is regarded as one of the most sought after landmarks in Thailand and should not be missed. Wat Chedi Luang is a 14th-century temple attraction famous for its huge pagoda measuring 282 feet high and 144 feet wide at its base. Though the main spire here was partly destroyed during an earthquake in 1545, it's an inspiration to all who dare visit. 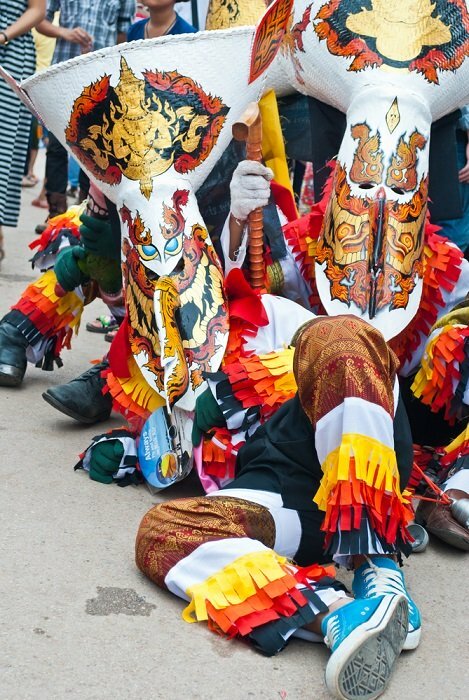 To see more of the amazing attractions in Chiang Mai do click on the link you see here. And for all bargain hunters, you must try the Chiang Mai Night Bazaar along Chang Khlan Road. This is where you can choose lots of locally made handicrafts and souvenirs at good prices. The immensely popular and lively place is great for relaxation after a day of touring the city. There are lots of restaurants, shops, stalls, street vendors, musicians as well as a variety of shows to keep you awake till late. Pattaya on the east coast offers a whole host of interesting, unusual and fun attractions including The Sanctuary of Truth consisting of a gigantic 105-metre tall teak wooden construction spread out over a large private area but close enough from the main beach area. It's also located near enough to the hub to actually walk there. It's a must see attraction. Mini Siam is a miniature city with over 100 replica models of some of Thailand's most important historical sites including the Temple of the Emerald Buddha and the Bridge over the River Kwai. Suan Nong Nooch Tropical Garden in Pattaya is a 500 acre beautifully landscaped botanical garden complete with a waterfall, orchid nurseries and lots more. This place will keep you mesmerised for hours. The Sriracha Tiger Zoo contains more than 200 Bengal tigers and 100,000 crocodiles as well as an assortment of exotic animals such as camel, deer, elephant, Peruvian guinea pigs and many others. To explore more attractions in Pattaya simply click the link here. Lying in the Andaman Sea off the southwestern coast is Thailand's largest and most popular island. Its coves are filled with silky smooth white sand and warm turquoise waters and its hills are blanketed in tropical rain forests. The reefs of nearby islands offer some of the world's best diving and its resorts offer a full lineup of land and water sports with and all the excursions you could possibly ask for. And while you're out and about in Phuket please don't forget to indulge in its scrumptious seafood and its scintillating nightlife. There are few better places of interest than those on this beautiful piece of paradise. Some of the best attractions in Phuket include Wat Chalong Temple stunningly decorated with thousands of tiny glass mosaic pieces that sparkle in the sunlight as well as having several pagodas. This sacred temple is considered the Island's spiritual centre reflecting Phuket's historical times. Local fairs are often held here where you can buy just about anything from handicrafts to spicy Thai food. A fairly new addition visible from the most southern parts of the island is the 45 metres high Big Buddha. Constructed on top of the Nakkerd Hills and overlooking the big beach bays of Chalong, Kata and Rawai. The view from here is absolutely spectacular as are the various other viewpoints around the Island. The Phuket Aquarium, The Phuket Butterfly Garden and Insect World and Monkey School are also some of the best Thailand attractions that should not be missed. When on vacation in Phuket, there is just not enough time to take in all these sites, whether you like visiting temples, art galleries, museums or any of the other fascinating places of interest. Phuket certainly has so much to offer for all ages, so do not be surprised when you find yourself coming back here time and time again. To see more of the amazing attractions in Phuket just click the link here.